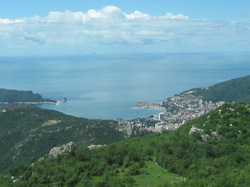 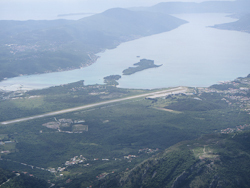 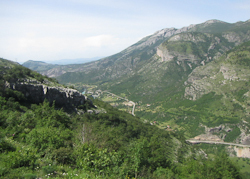 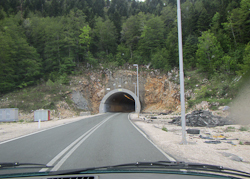 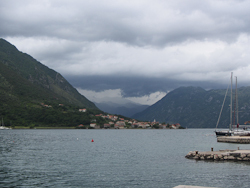 This visit to Montenegro was made between May 26th and June 1st 2013. 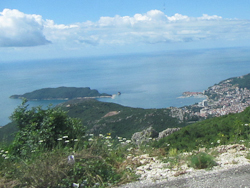 Starting in Budva on the Adriatic coast we started our trip around this dramatic country by driving up the coastal mountains to walk to an abandoned Austro-Hungarian fortress. 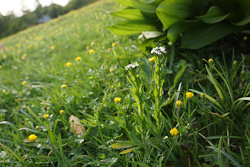 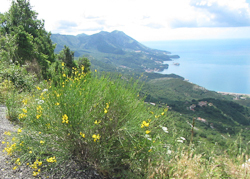 The walk gave glorious views of the the coast along a path bordered by wild flowers. 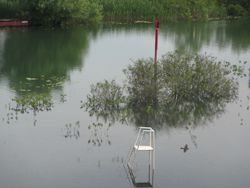 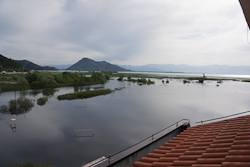 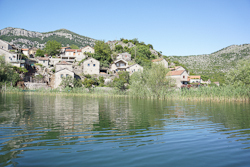 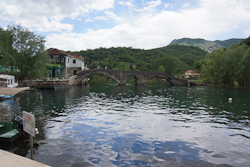 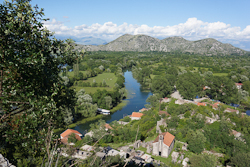 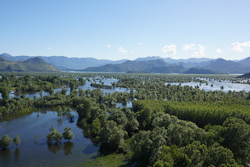 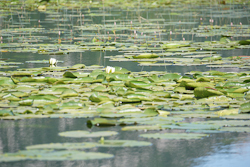 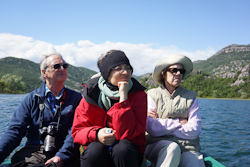 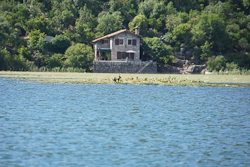 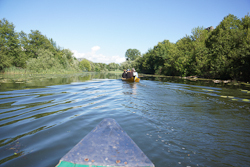 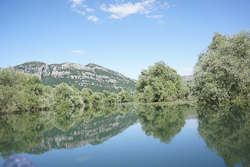 We entered the Skadar National Park and took to small boats through waterways to arrive at the remains of the 15th century remains of the citadel of Zabljak Crnojevica before a short drive to Virparzar on shore of Lake Skadar. 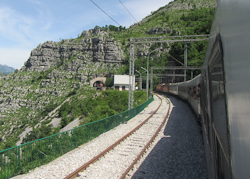 An early start to-day brought us to the capital of the country Podgorica where we boarded the train to take us to the North East of Montenegro. 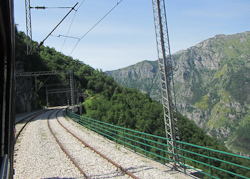 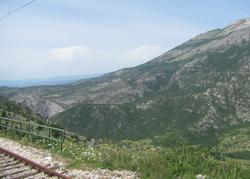 The train climbs into the mountains along one of the most dramatic train journeys in Europe. 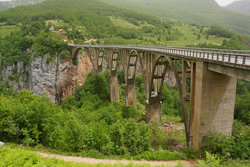 It crosses over the highest railway bridge on the continent with breath taking views down into the Moraca gorge. 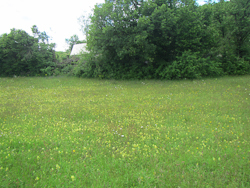 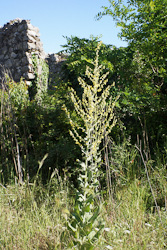 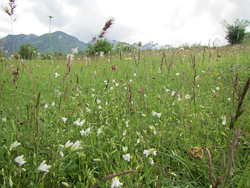 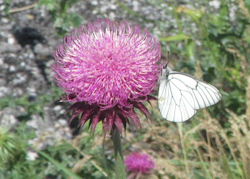 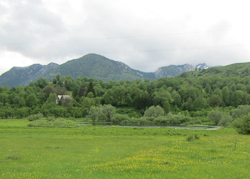 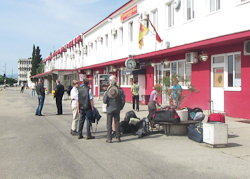 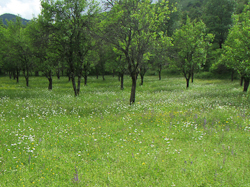 We left the train at Kolasin to visit a small Botanical garden and a local bee keeper. 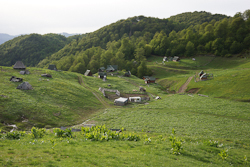 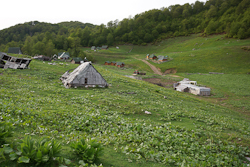 We drove up into mountains for our walk to-day which went along the ridge to our accommodation with a local farmer in wooden cabins. 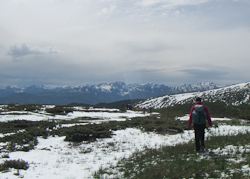 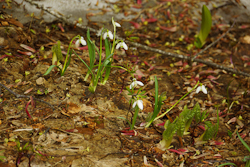 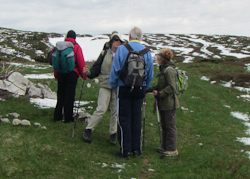 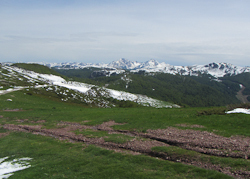 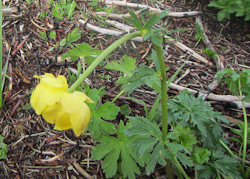 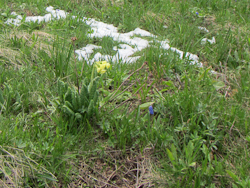 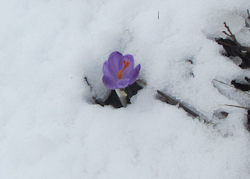 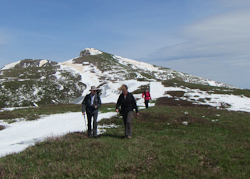 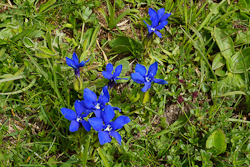 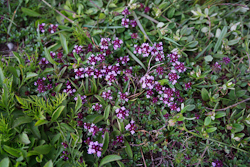 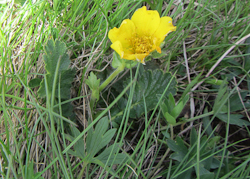 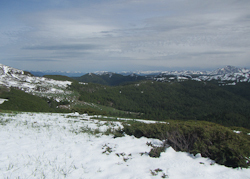 The route took us high above the countryside with plants just coming into flower amongst much snow covered slopes. 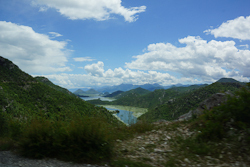 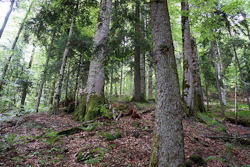 To start the day we walked down through the beech forest of Biogradska National Park to a lake where we boarded our transport for the day. 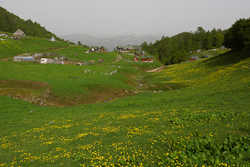 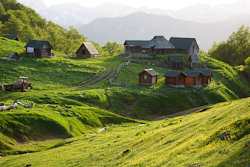 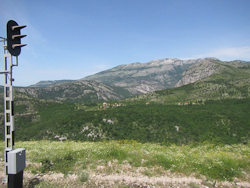 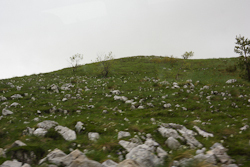 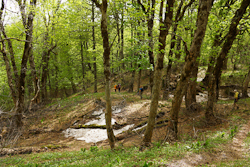 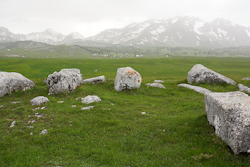 We travelled through the Sinjajevina highlands to the village of Poscenje. 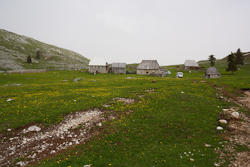 Our walking to-day was spoilt by very heavy rain and we spent several hours drinking coffee and hot chocolate in the local cafes! 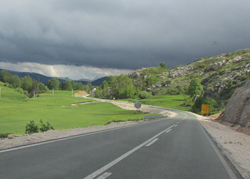 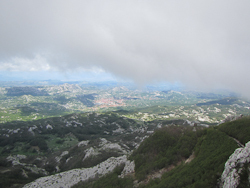 To-day we had a long drive south to the old Royal capital of Cetinje before driving to Kotor. 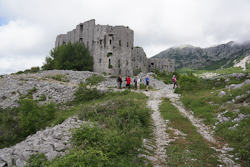 On the way to Kotor we climbed up the stunning mausoleum of Petar II Petovic-Njegos. 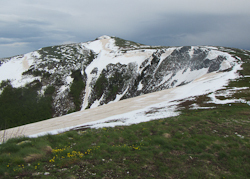 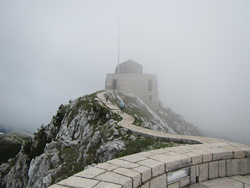 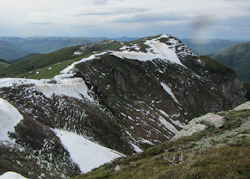 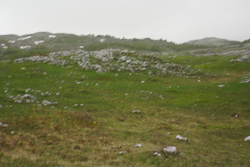 It is located at the sumit of Jezerski vrh (1657m). 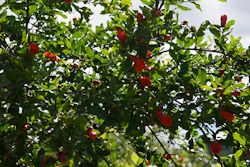 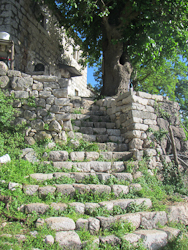 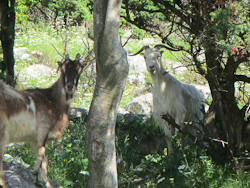 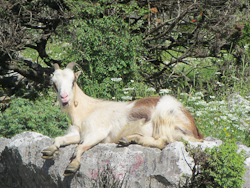 On our down to Kotor we walked down the 'Ladder of Cattaro'. 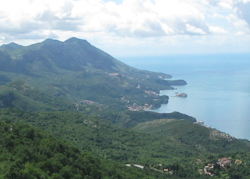 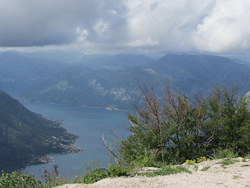 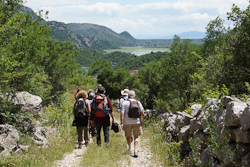 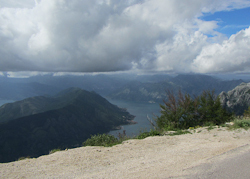 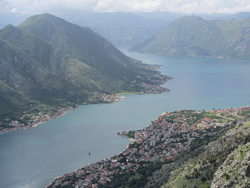 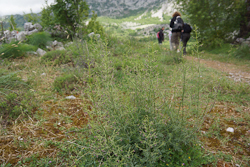 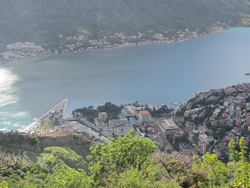 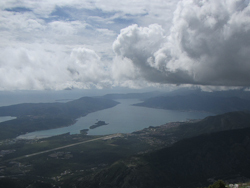 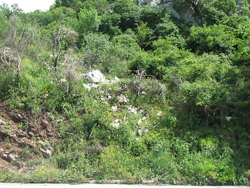 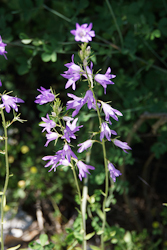 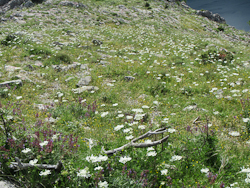 The zig-zag walk down to Kotor gives endless views of the Bay as well many wild flowers. 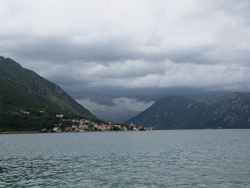 Our final day in Montenegro was spent in Kotor was very spoilt by the stormy weather but we made the best of it and enjoyed(?) 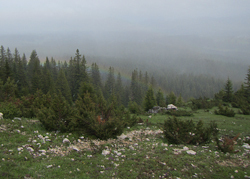 'walking in the rain'. 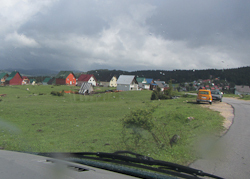 Montenagro is truly a lovely country with magnificent scenery and very welcoming people.